Welcome to the Next Gen, which gives you the Vision Jet – a faster, higher, lighter and cost-effective jet. Priced at nearly $2 million, it comes with some of the best features which allow it to burn half the fuel of the light jets that cost twice as this one. This jet is designed explicitly for private ownership. This project was recently given FAA certification after ten years of its making and it is now building up both its production and deliveries. The Vision Jet has a crew capacity of one member and other six passengers. The gross weight of this jet is 6,000 lb and the fuel capacity remains less which is around 2,000 lb or 907 kg. The SF50 Jet was initially designed with owner-flan pilots perceptions and especially those who were upgrading from the SR22. These transitions in the Vision are exactly in the similar location as Cirrus’s piston models, moreover the jet has a full-airframe parachute with it, which is the first for a turbine-powered airplane. The cockpit of this jet has a panoramic windshield for the pilot to have maximum visibility and plenty of other touchscreen displays. Moreover, it has USB charging for every seat with in-flight entertainment options and additional mood lighting options. This is the first private jet with one engine and a single pilot, which helps in keeping the production and operation cost low-cut. Although, the single-engine has a few cons which are eliminated by the chute. It gives you the freedom to travel via a single-engine aircraft even in midnight, which is impossible in any other normal aircraft. To add to the surprise, this jet has a big cabin which is extremely comfortable for the passengers. There is ample of space for seven people and bags with plenty of room for large windows, headrest, and movement. 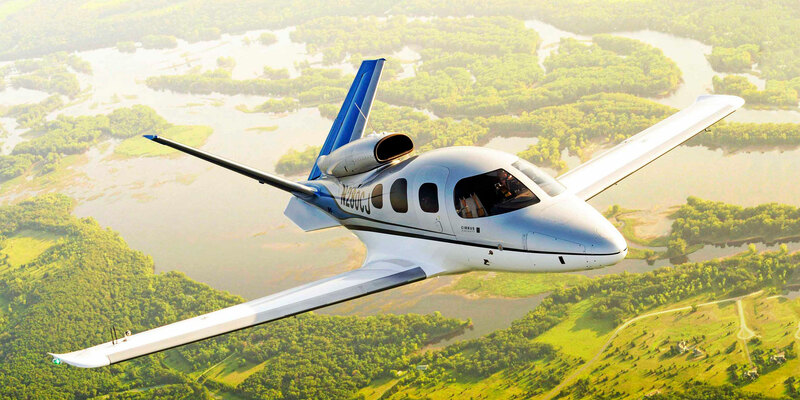 Cirrus Vision Jet is a leader in regard to the comfortable travel experience and cost. People are now going to forgo the standard economy class due to the cost-effective experience in a private jet and the lower costs of the business class. With around 600 orders and $1 Billion of revenue, without any doubt, the demand for this aircraft is going to increase even more. Clearly, as the technology grows, there are chances of a better project to come up and make lives much easier. The vision isn’t just a performer, it is far more than that. It allows a trailing-link landing gear for a very smooth landing and makes use of smart technology to make the pilot’s job easier during the busiest times. Isn’t it the best for the travelers out there?